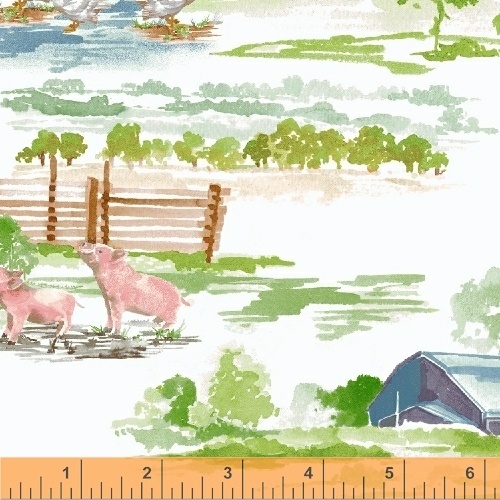 We�re back down on the farm with this collection by Whistler Studios. A fantastic farm scenic all over print featuring silos, roaming cows, and a picturesque farmhouse will let you live out your idyllic farmhouse dreams. On sale January 2018. Delivery to US stores July 2018.